Earlier this month, the Equal Employment Opportunity Commission (EEOC) issued a proposed guidance document on workplace harassment. The EEOC is seeking public comment on the guidance through February 9, 2017. Preventing systemic harassment is listed as a priority in the EEOC’s Strategic Enforcement Plan for 2017-2021. 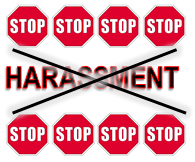 In 2015, harassment charges represented over 30 percent of all charges filed with the EEOC. The same year, the EEOC created a task force to analyze workplace harassment and identify innovative and creative prevention strategies. The task force issued its findings and recommendations in 2016, leading to the recently proposed guidance. include processes to convey the resolution of the complaint to the complainant and the alleged harasser. routinely evaluated by participants and revised as necessary. Ideally, the EEOC’s final guidance will address the dichotomy between its position and that of the NLRB. Notwithstanding that issue, and until final guidance is released, the main take-away from the proposed guidance is for employers to ensure they have developed a clear and comprehensive harassment and retaliation policy which describes prohibited conduct and complaint, investigation, and resolution processes. Comments to the proposed guidance may be submitted through www.regulations.gov, or by mail to: Public Input, EEOC, Executive Officer, 131 M Street, N.E., Washington, D.C. 20507.